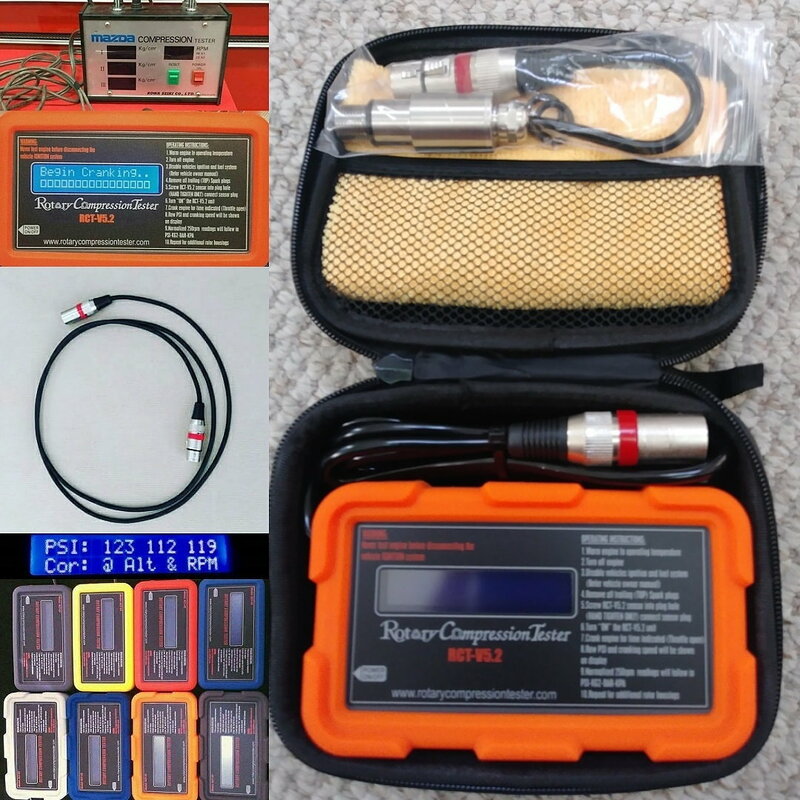 10% off RCTV5.2 compression testers! Code:KTC70 Limited Time!!! Sorry I have been slacking with keeping the forum up to date. I have the new 5.2 compression testers in stock, @ 300 sold already. Used by Howard Coleman, Elite, HPR, Rotalife, T-Rex, Rotary Ressurection, Angel Motorsports and many more shops and race teams around the world. Normalizes to 250 and corrects for elevation as required in Mazda FSM. Storage case, sensor cleaning towel, extra O-rings, and 9v battery and Decal.